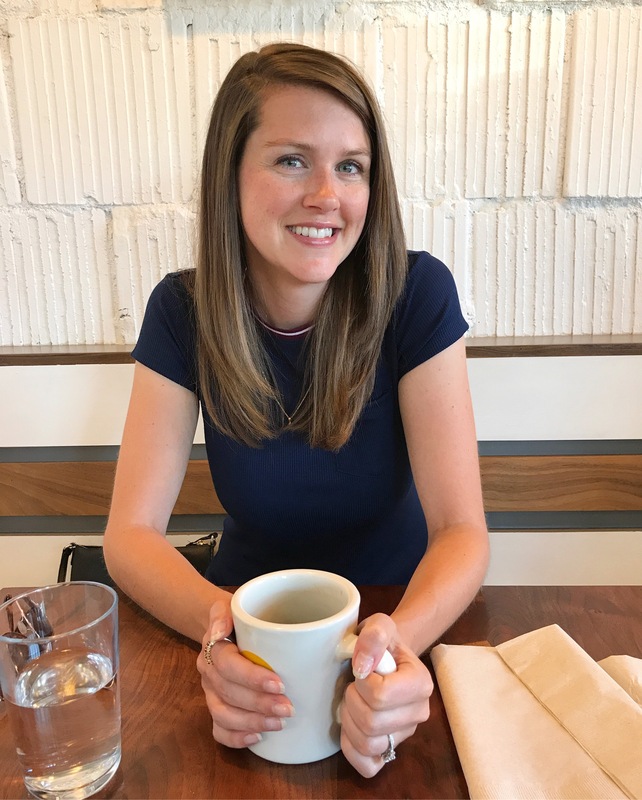 So it’s probably no secret that I’ve got wedding on the brain in a major way, but aside from thinking (and talking… too much) about my own wedding, I’ve been thinking about (and quoting) a lot of my favorite wedding movies lately. As in, when I was brainstorming reception venue ideas, I told my sister, “I know, the Steak Pit!” and recently asked Joey if our wedding colors could be “Blush and Bashful.” So without further adieu, my favorite wedding movies! Yeah, this is probably my most quoted. And come on, how could it not be? I have watched this movie more than a normal person probably should, but in my defense, it is amazing. The part where Steve Martin has a major wedding meltdown at the grocery store and gets arrested for “removing the superfluous buns” is the best thing ever. Oh and just the other day my mom asked if we would be having “the chipper chicken” at our wedding, so I guess I know who to blame for my obsession with this movie. Ah, the movie that made me want to become a food critic. And have a week long wedding celebration filled with extravagant brunches, family sing-a-longs and a baseball game, naturally. Plus, who could forget that conversation where Julia Roberts compares Cameron Diaz to crème brulee. “You’re never gonna be JELL-O!” Anyways, I guess my only beef with this movie (besides the heinousness of Julia Roberts’s character) is that Julia and Dermot decide they would marry each other at… 28? Isn’t that a little early to be giving up? Joey and I are dying to have a live band at our shindig (that price part is getting in the way :P), but while looking into options a few weeks ago, I almost Yelped “wedding singers” and was reminded of how much I love this movie. No joke, I watched this on a VHS tape that I recorded from TBS. Life before DVR was hard. I sang an Adam Sandler version of “Holiday,” complete with the line “Everybody spread the word. I live in my sister’s basement!” the other day and it may not have been the first time (or the last!) time I’ve done so in the past month or so. Does Julia love wedding movies or what? Back in high school I used to watch a movie on repeat for weeks while falling asleep and this movie was definitely on that list. In other words, I could probably quote the entire thing. But I won’t…right now. If Hale, Maryland really existed (and I didn’t already have other plans), I wouldn’t mind getting married on a hilltop there. 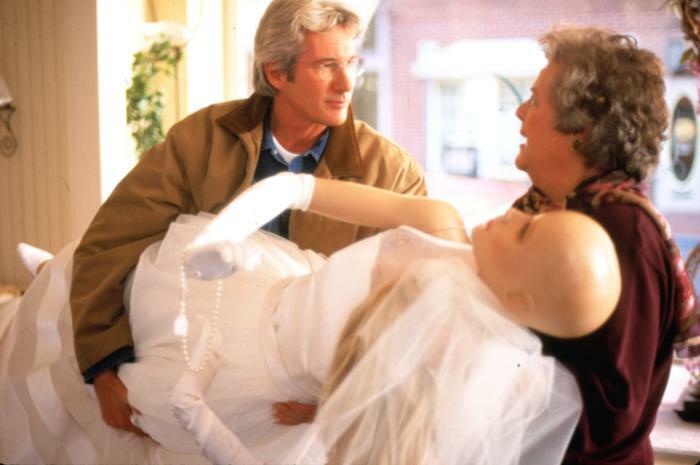 And for some reason, I find Richard Gere to be so perfectly irritating in this movie and he and Julia’s relationship to be so believable that I just can’t help but love every minute. Okay, so not exactly a wedding movie per se, but there is a wedding in it! And you know what, I’d say it’s kind of important to the plot. Despite loving this movie (so so much! ), I cringe every time the wedding scene comes up. Am I the only one who feels completely mortified for her poor sister? I mean, her husband has to carry her to the car. I’m not a bridezilla, but if I were her, I’d probably demand a re-do of that one. Added bonus that the non-wedding-related parts of this movie are pretty great also. Please tell me you’ve seen this one! It’s probably one of my favorite movies (that I haven’t seen in so long!) because it is just good stupid fun. It’s not just lately that I quote this movie, I’ve been doing it for years. I meant this to be a 5 movie post, but I had to add this one. 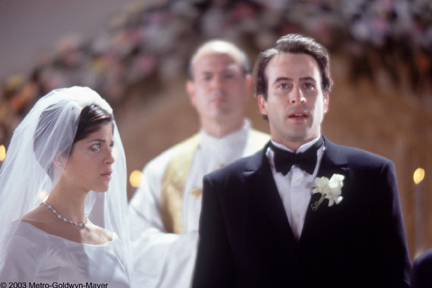 If you’ve never seen it, I highly recommend you find it then laugh for days when Jason Lee tells Selma Blair that he bought her a pair of underwear from a bin at Spin Mart. And that concludes this episode of “how I spent my life watching movies to the point of being able to recall them perfectly by memory.” And now I am feeling the strong urge to watch every single one of these movies this weekend. Hope Joey’s in! Oh my gosh, looks like I need to brush up on some movies! 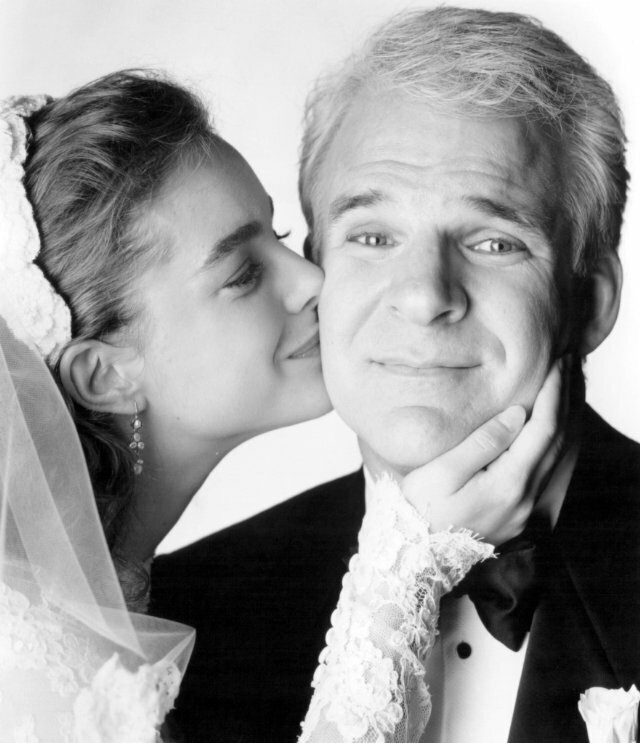 I’ve never actually seen Father of the Bride (yeah, I kinda think I’m the only one in the world! ), but even though I’ve seen all the others, I can’t for the life of me remember most of the parts you mentioned! Omg, my memory!!! I think I need to start doing crossword puzzles. Isn’t that what they say fiends off Alzeheimer’s? Hmmm, too bad I can’t even answer the ones in the kiddie section of the newspaper! ha! 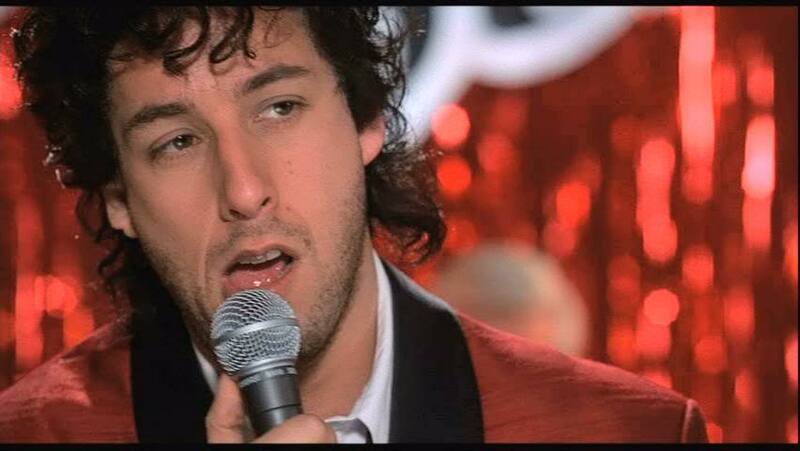 Love The Wedding Singer (or more importantly Adam Sandler…hilarious! 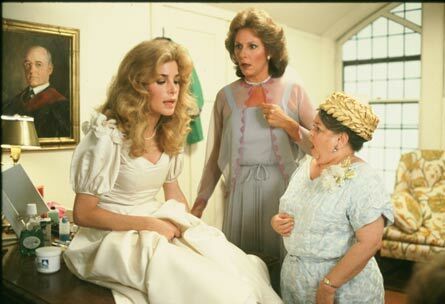 ), but my favorite wedding movie is probably Four Weddings & a Funeral…oh, or Mama Mia! Yeah, totally opposite ends of the spectrum there!